A "final" trained-behavior: called an Indication / Alert that communicates the location of the target odor/scent. 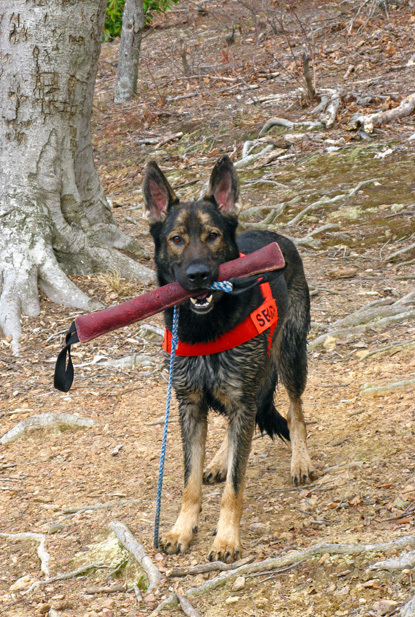 Training a search and rescue dog takes a large time commitment, for both the Handler and the dog. Often, Handlers learn by making mistakes, and get better with each dog. Our dogs perform countless repetitions of trained behaviors under as many scenarios as we can expose them to, building the confidence and independence they need to search effectively.